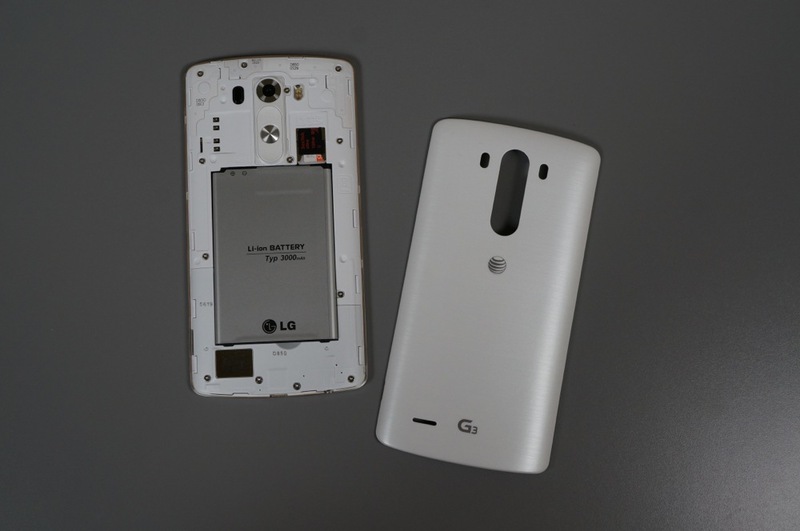 Thanks to a new promo, if you purchase a LG G3 today through September 22, LG is throwing in an extra battery and battery charging cradle. The deal looks to be valid if you purchase your G3 through any of the top four carriers in the US, or if you decide to purchase it through another retailer, such as Amazon and Best Buy. 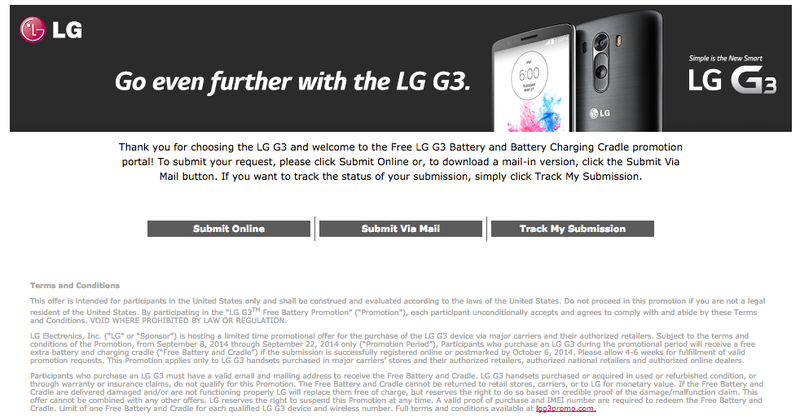 Once you have your device, all you need to do is send a request form to LG, detailing your name, shipping address, IMEI number, and how you heard about the promotion. Seems easy enough. Extra batteries currently go for about $30 on Amazon, while cradles are priced at around $40. If you just so happened to be in the market for a G3, you don’t want to turn down this promo deal at all.